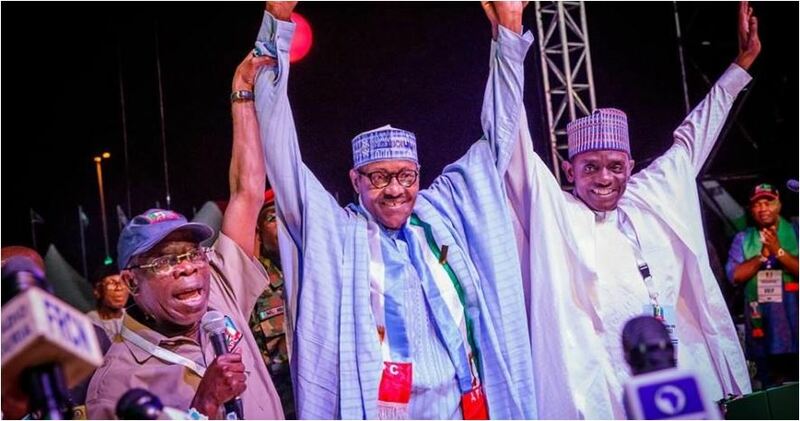 Text of President Muhammadu Buhari after being affirmed as the All Progressives Congress (APC) presidential candidate at the party’s national presidential convention in the early hours of yesterday at the Eagle Square in Abuja. 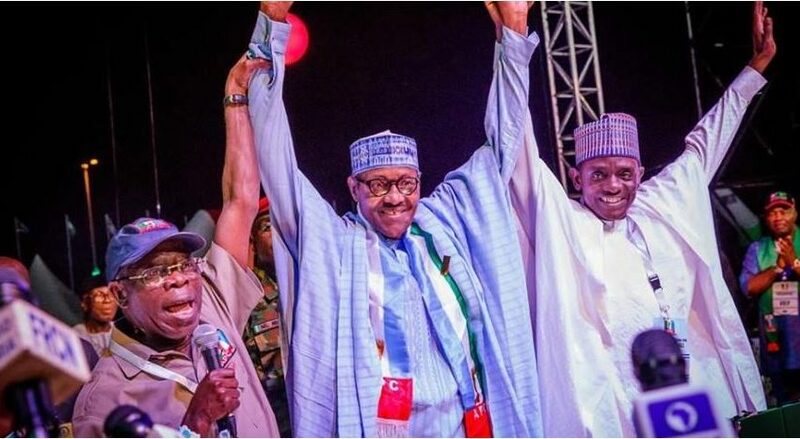 I would like to pay tribute to Chief Bola Ahmed Tinubu, Chief Bisi Akande the first chairman of our great party and to Chief John Odigie-Oyegun who led the party until this year and all the APC governors. Fellow party members, it is with a deep sense of humility that I stand before you today to accept the nomination of our party, the APC to be its candidate and flag-bearer in the 2019 presidential elections. We are very proud of our record from 2015 to date. We have arrested and checked the slide to anarchy on the security and economic fronts. Boko Haram is reduced to dastardly attacks on soft targets. Normalcy has returned to much of Northeast and neighbouring Northwest states. Our currency has stabilised. Our reserves are now $44 billion, a lot higher than we had in 2015. Power generation capacity has reached 8,000 megawatts against less than 4,600 when we came into office. As we invest in new power generation infrastructure we are strenuously working to address the legacy deficiencies and challenges of transmission and distribution networks across the country. The Federal Government, through its Anchor Borrowers Programme (ABP) and other incentives, has empowered more than two million farmers to go back to the land. We now produce 80 per cent of our rice requirements. Many farmers who nearly lost hope are now millionaires. Today, the corrupt are facing the wrath of law and leakages have been generally blocked. We can be proud of our achievements. CHANGE has come. Ladies and Gentlemen and fellow Nigerians, think, how much PDP governments earned between 1999 and 2015… Think, what they did with it. Infrastructure down! Security down! Eighteen local government areas under the control of a hostile army of insurgents! Reserves depleted! Bankruptcy around the corner… What did they do with your money? Internationally, Nigeria is now respected. My inter-action with foreign heads of state and government has been very encouraging. The international community is very supportive of our efforts to put our country in order. Ladies and gentlemen and members of the APC, I thank you deeply for your support and confidence in me. I will not let you, or the people of Nigeria down. On to victory in 2019!